I'm not doing all that much on this blog at the moment (there's more on Teens on Moon Lane if you miss me!) but every so often, an opportunity comes along that I just can't turn down. The chance to take part in the blog tour for Leigh Bardugo's Six of Crows, one of my favourite reads for ages, was one of those times! 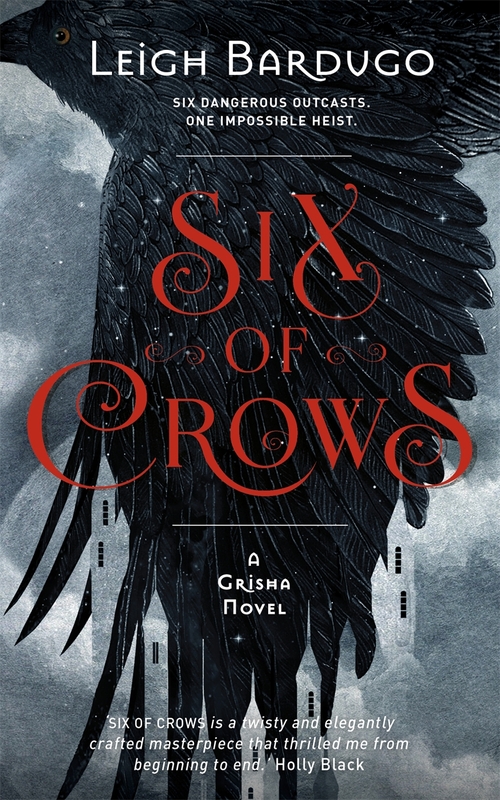 Six of Crows is an incredibly fun heist story set in the Grishaverse, the world that Bardugo created in her first trilogy which so many of us fell in love with. It has six fantastic lead characters, brilliant relationships, and a plot with so many amazing twists and turns that I felt dizzy reading it at times. As much as I LOVE the Grishaverse, though, it's a pretty dangerous place - so I'm very happy to be presenting my tips for surviving if you find yourself there! It's a joint UK/US blog tour so head over to Bookiemoji for more tips on the subject, and don't miss Winged Reviews and Cuddlebuggery, two of my favourite blogs, who had great posts on book boyfriends/girlfriends from the Grishaverse yesterday! PLUS, we have a fantastic competition to win a swag pack as well being run over all 12 blogs taking part! Do avoid the internet and social media. This has been tough for me lately because I've been promoting Six of Crows while writing its sequel, but I truly believe being online is a drain on creativity. Do let yourself be inspired by everything. I know everyone likes The Italian Job, but I didn't. I really love the team dynamics on Leverage, but they get away with a lot of ridiculous stuff when it comes to heist logic. The Dirty Dozen is a spectacularly weird film that doesn't hold up particularly well on re-watching. Even so, I found it really helpful to see the choices writers made with these projects and they helped to move my work forward. Just make sure research doesn't turn into a day (or twelve) lost to Netflix bingeing. Do go outside! I have a terrible habit of getting stuck in front of my computer and staying there. 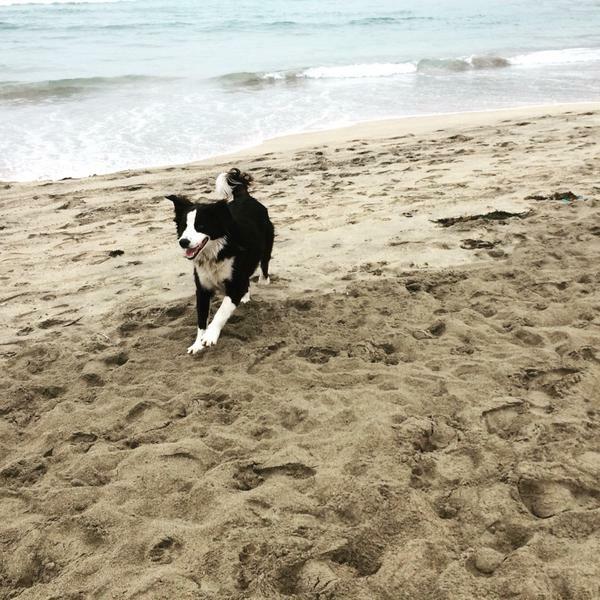 Walk your dog, go for a swim, or just go dance around in your back garden. I do it all the time. You heard me, Google Earth. Fab tips! Thank you Leigh! DO: Stay close to Sturmhond. I think people reading this post have PROBABLY read the original trilogy, but just in case, I won't say too much about Sturmhond. To be honest, that might be an excuse, because really, this commander is pretty much indescribable. He had my heart from the moment he exploded onto the page in Siege and Storm, while his triumphant entrance in Ruin and Rising had me practically standing up and cheering while reading. He is brilliant with various weapons, incredibly charming, extremely intelligent. And oh, so hot! It's easy to see why my friend Daphne opened yesterday's 'Book Boyfriends and Girlfriends of the Grishaverse' post with him. DO: Be careful who you trust. The Grishaverse is a dangerous place. Having the right person behind you or at your side can be a real lifesaver. But as numerous people have found out, having someone at your side who doesn't have your best interests at heart can be deadly. DO: Kiss as many people as possible. If I'm completely honest, I don't know whether kissing people in the Grishaverse is actually THAT beneficial to survival. But Leigh writes so many super-hot characters that I defy anyone to NOT read the books and daydream that they're in there locking lips with as many people as possible. There are good guys in YA. There are 'bad' guys with a heart of gold. There are surly boys who melt for the right girl (or boy). But as Leigh said in her introduction over at yesterday's post on Cuddlebuggery, "Kaz’s crew are deadly, desperate, and occasionally legitimately despicable." That's not to say I don't like him - he's an awesome character. But if you cross him he WILL have his vengeance. DON'T: Fall for the Darkling. Look, I know I said that you should kiss everybody you could. And I have huge respect for Steph Sinclair over at Cuddlebuggery for being generally awesome. But some guys have TOO MUCH of a dark side, and everything Leigh said about Kaz's crew is true 100 times over of the Darkling. People really should remember that instead of falling for the whole "tortured but hot routine." Even if he is so, SO hot. Ahem. DON'T: Try to break into the Ice Court. It's completely impenetrable. To even try to undertake what's pretty much a certain suicide mission would be a ridiculous idea. You'd have to be really stupid to give it a shot. Or, of course, REALLY arrogant, full of yourself, and generally awesome. From 24/9 - 29/9, bloggers in the US and UK will be paired up to share their own Six of Crows-inspired lists, such as six tips for surviving the Grishaverse, six signs you do/don't have what it takes to join Kaz's crew, and more. But wait. There's more! Enter to win a Six of Crows prize pack full of US AND UK swag by commenting on all 12 blog posts by 11:59pm EST Friday, October 2. So, what would be your top tip for surviving the Grishaverse? 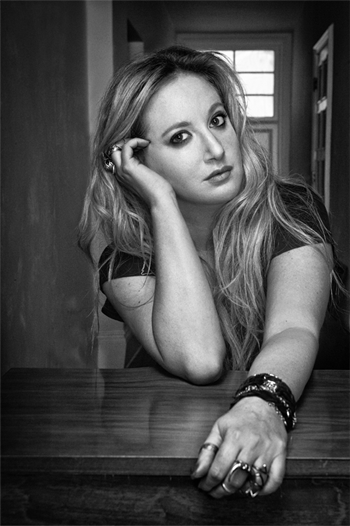 Leigh Bardugo is the author of the New York Times bestsellers Shadow and Bone and Siege and Storm. She was born in Jerusalem, grew up in Los Angeles, graduated from Yale University, and has worked in advertising, journalism, and most recently makeup and special effects. These days, she lives and writes in Hollywood, where she can occasionally be heard singing with her band. Check out the rest of the tour stops by following the #SixofCrows hashtag. Also, don’t forget to catch Leigh on her #MagicandMayhemTour! Today is a freebie, and it's also Agatha Christie's 125th birthday, so thought I'd share my favourite of her books with you! The Mysterious Affair at Styles - I love the introduction of both Poirot and Hastings here, they really spring to life as wonderful characters straight away. Also, Poirot delays announcing that he's solved the mystery for a considerable amount of time so that he can match-make, which is adorable. Curtain - Back to Styles for Poirot's last case, and it's a stunning end to the series. The last chapter sends chills down my spine when I read it - perfect characterisation. Hallowe'en Party - This isn't one of the best, if I'm honest, but I think it's the ONLY one where I got the solution ahead of the reveal the first time I read it! It has a soft spot in my heart just for that. Labours of Hercules - Poirot takes on 12 cases based on the ancient labours of Hercules. So much fun for fans of classical mythology! Murder on the Orient Express - Not only one of the best ever crime novels, but it also inspired First Class Murder, Robin Stevens's wonderful third book in the Murder Most Unladylike series, so gets bonus points for that! Peril at End House - I love Hastings and wish he'd been in more of the Poirot novels! This is one of my favourites because it has him, Japp, and an intriguing solution. N or M? - The only one in my top 10 not to star Marple or Poirot, I love this story of Tommy and Tuppence (a massively underrated pairing) searching for a traitor in World War II in a seaside hotel. Nemesis - The last Miss Marple book to be written has one of my favourite showdowns of all the books. The Thirteen Problems - My favourite collection of Miss Marple stories, this sees her join her nephew Raymond, Sir Henry Clithering (a former Scotland Yard commissioner) and three others in a club who discuss unsolved crimes. In each of them, Miss Marple correctly guesses what happened, to the astonishment of the rest. Any other Christie fans out there? Do you agree with my top 10? I'm really looking forward to reading ER Murray's The Book of Learning, a fantasy adventure published by The Mercier Press which starts off the Nine Lives trilogy. After talking to her on Twitter, she suggested writing about building believable characters for my blog - I was thrilled by the suggestion, and love the post! 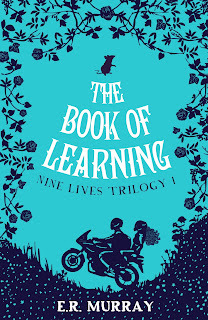 Although The Book of Learning is an action-packed fantasy adventure, the heart of the story focuses on the emotional journey of twelve-year-old Ebony Smart. When her grandpa dies, Ebony is sent to Dublin to live with an aunt she didn’t know existed, with only her pet rat, Winston, for company. Aunt Ruby informs Ebony that she is part of the Order of Nine Lives - a special tribe of people who reincarnate. 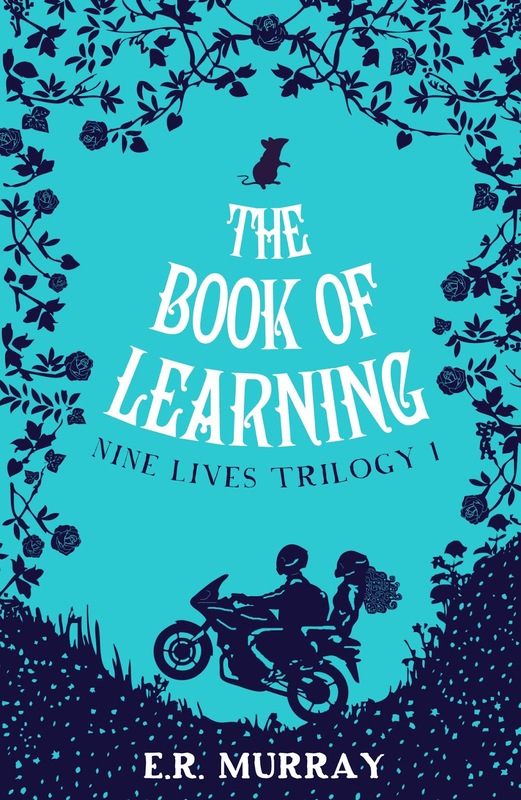 She claims Ebony has one week to break a terrible curse or else die – and if she fails, the future of the Order of Nine Lives, and her family, is at risk. Immediately believable, right? 1) Your reader must be able to feel emotion towards each character (this can be positive or negative). 2) Your reader must be able to identify with some aspects of each character. 3) Your characters must behave consistently – they should change and grow, but in a way that is true to their personal world view. I think that’s the best advice I’ve heard on creating characters. If you delved into the lives and family history of most people, you’d find weird stories, skeletons in the closest, and shocking or unbelievable events – as the saying goes, fact is often stranger than fiction. So when you write fantasy and fantastical characters, you can make anything believable so long as the characters show realistic personality traits, believable emotions, and react in a way that suits their individuality. My characters appear before the storyline when I write my books, and I always write a ‘draft zero’ in exactly one month, letting the characters lead me. It gives me the clay that I need to sculpt my story. I don’t plot or plan character bios like some writers do, and I don’t plot or plan my stories until the second draft – I write organically in the early stages, and then add the details later. When people find out you’re a writer, they always want to know if you base your characters on real people. They ask if you’ve got revenge on someone by writing them into a book. Friends and family often want to know whether they feature as a character. As people we’re curious about people – fictional or real. And seeing as books play out differently in every reader’s mind, in every reader’s imagination, I believe people in books are particularly intriguing. Personally, I find that influences come in many guises; your own experiences, your friends and family and colleagues, characters in books and films, songs, random events you’ve witnessed, conversations overheard, philosophical ideas… the possibilities are endless. But when you take all these influences – often without realising or intending to – and meld them into a character, that character then takes on a real personality of its own. 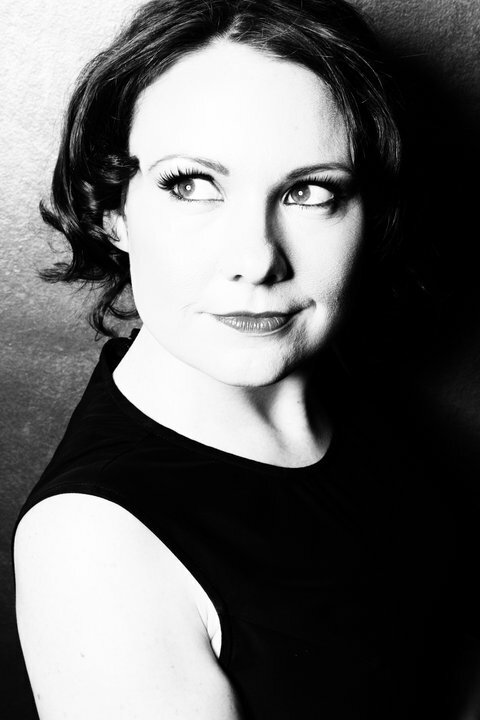 Ebony Smart – Having grown up in the South West of Ireland (where I live now), Ebony has to quickly adapt to city life in Dublin (where I used to live), with a completely new family that’s full of crazy ideas about being reincarnated. I needed Ebony to be a smart and quick-witted girl, who was feisty but also adaptable. I’ve experienced plenty of change and I’m extremely determined, so I put quite a lot of myself into the character of Ebony. Then, for the crazy stuff, I researched some great characters, including Lydia from Tim Burton’s Beetlejuice, Jo March from Little Women, and I watched lots of Manga cartoons like Spirited Away, Origin and Princess Mononoke. Winston – I wanted Ebony to have an animal that would be her friend, her one constant when she moves to her new surroundings - and a pet rat fit the bill perfectly. When I was a teenager, lots of my friends had rats as pets (some still do), and it always strikes me how smart and wily these creatures are. Contrary to popular belief, rats are actually very clean and affectionate when they’re not living in sewers. 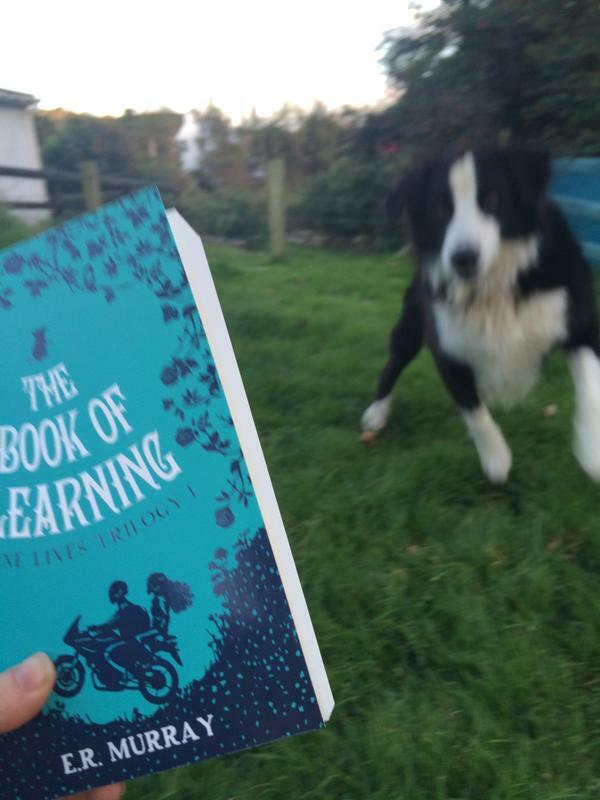 Researching Winston was easy – a few memories, a trip to the pet shop, and some YouTube clips. As for the talking bit – all animals communicate in their own way. I just had to find a way for Ebony to be able to understand him. Grandpa Tobias – As Ebony’s guardian, I wanted Grandpa Tobias to be gentler on Ebony (like doting grandparents often are), but with the sprightly spirit of e.g. Grandpa Joe from Charlie and the Chocolate Factory. I didn’t have any grandparents growing up, but a lot of the Grandpa character is based on my own father. My father was 20 years older than my mother, so more of a grandpa age when I met him. I didn’t know him very well at all, and he died a few years after we got in contact, but he was my introduction to countryside living and it made a huge impression. Rather than a true portrayal, this is what I imagined my father to be like when I was small. Zach Stone – This character emerged from nowhere, and I couldn’t find another character like him for inspiration. So instead, I followed the advice of friend and author, Isabel Abedi: I chose an actor (Ezra Miller) who could play him. Then I watched some YouTube clips to see how the actor moved, how he reacted to things, the faces he pulled. This really helped to give Zach colour and personality. 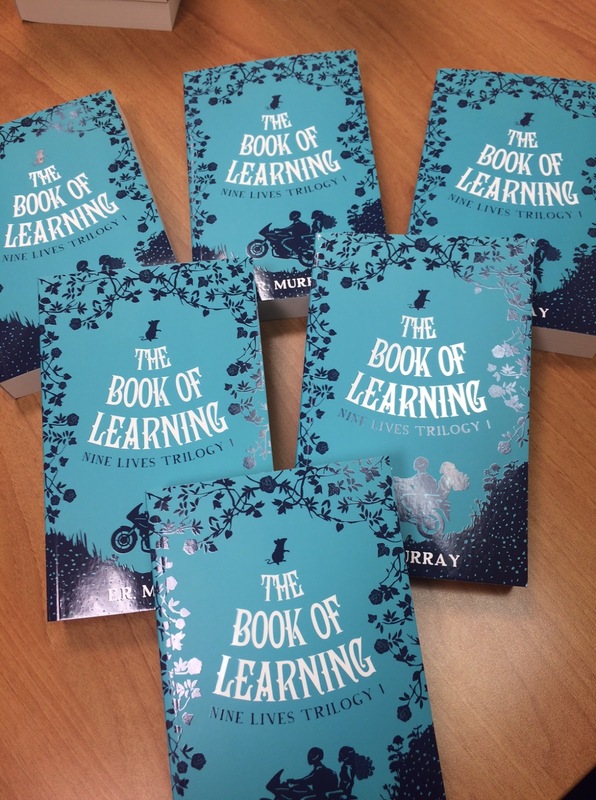 This is just a brief insight into some of the characters in The Book of Learning and how they developed. All authors write differently, but I hope this post has given you an idea of how my own characters become people rather than caricatures. What about you? As a writer, where do you get inspiration for your characters? And as a reader, which characters have stayed with you and why? Fab post! Thanks, Elizabeth - I can't wait to read the book! 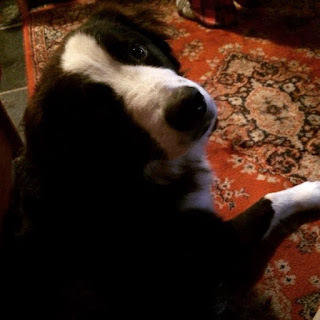 In addition to the awesome post, we have photos of Elizabeth's dog Franklyn. Because like me, she knows my audience well! For more from Elizabeth and Franklyn, check her out on Twitter, Facebook and her blog.